Alaskan Adventures Fishing Sports fishing in Alaska Rivers and Lakes is legendary. 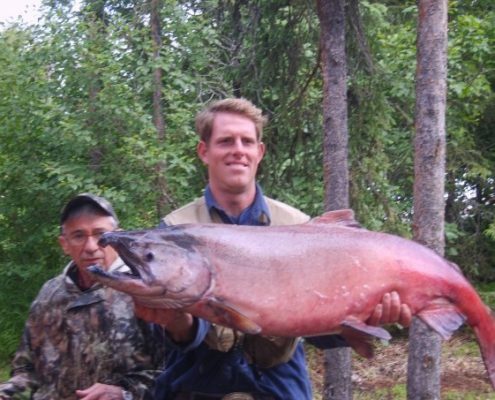 The very names of some of the Alaskan Sports fish you may catch generate visions of adventure, Alaska Fishing Paradise! 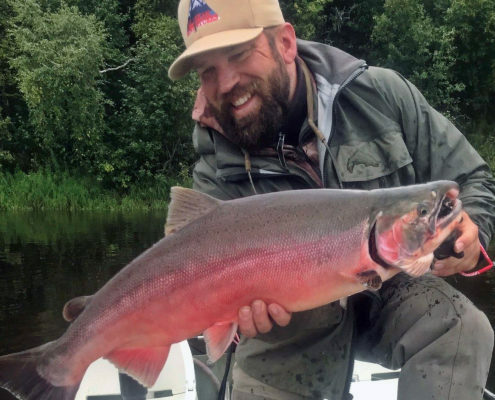 Our rivers feature King Salmon, Red Salmon, Silver Salmon, Pink, and Chum Salmon, world-class rare and exotic Sheefish, Arctic Char, Grayling, Dolly Varden and some of the best Northern Pike fishing in Alaska. 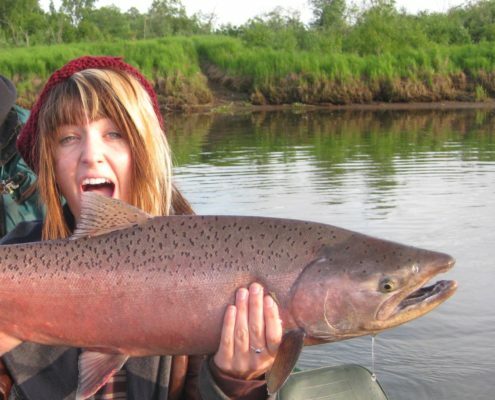 The Holitna River and tributaries are highly rated and listed in the state’s top 10 Alaskan Rivers for fly-fishing or lures. We are in very remote, untouched Alaska – many weeks we never see another boat or fisherman. Amazing and Affordable. 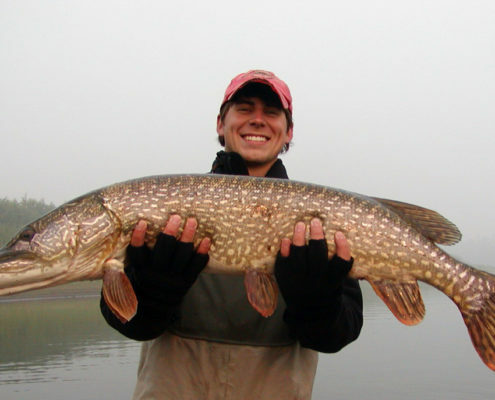 Alaskan-Adventures holds five world line records in Northern Pike & Shee-Fish, fishing the Holitna. 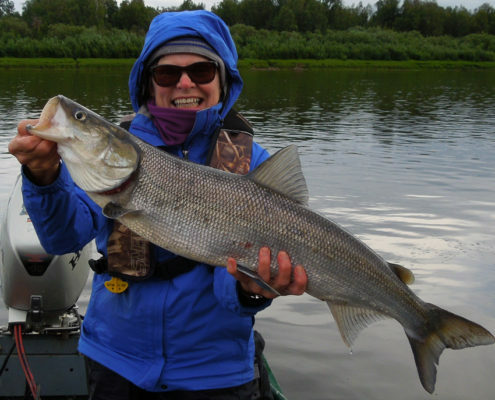 These remote rivers are much less frequented by Alaskan sports fishermen. 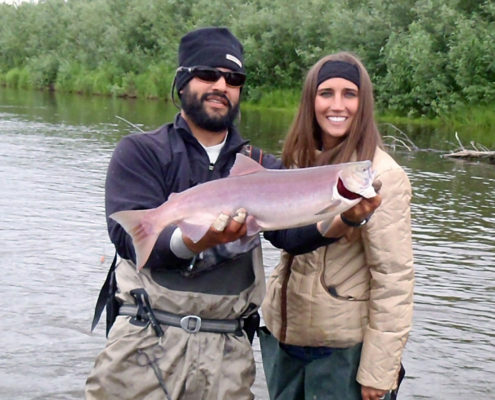 It is truly untamed Alaska full of tremendous wildlife and sports fishing diversity. I invite you to experience the Holitna, guided or unguided.  Alaskan-Adventures provides flyfishing rods and reels (St. Croix). Our professional flyfishing guides are available to teach or answer any questions you might have. You can come as a novice and leave as a pro. 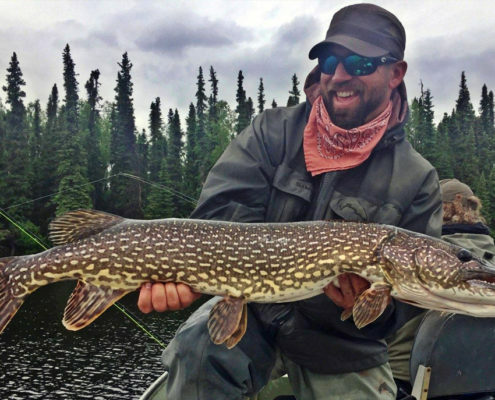 You will fly fish for the exotic Sheefish *(Hint- we tie our own special patterns) and fly fish for all five species of Pacific Salmon, Arctic Char, Dolly Varden, Grayling and World Class Northern Pike. Fly tying and casting lessons are available from our professional guide. All weather rain gear *(Optional – We provide standard size rain pants and rain coats (sizes S-XXL only, at no charge) All other sizes are the responsibility of the client to bring. See also Resources Page. 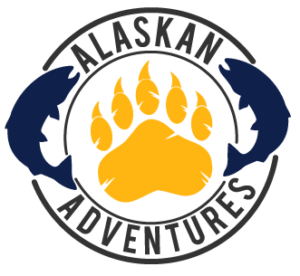 **Alaskan-Adventures has ALL the equipment you will need, although you are welcome to bring any fishing gear you like. We have ultra-light, medium, and heavy-duty rods, lures, line, etc. We also have a fully stocked tackle shop. We do provide fly-fishing rods, reels, and gear.